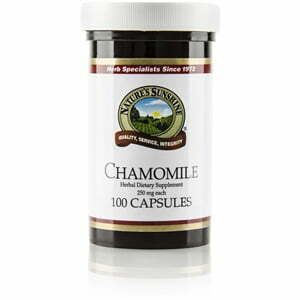 A popular tea, chamomile is rich in flavonoids, coumarin, and volatile oil. It calms nervousness or anxiety and often results in a better night’s sleep. 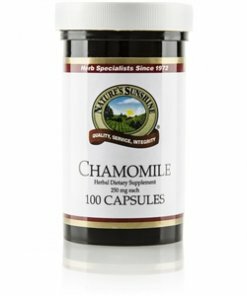 Nature’s Sunshine Chamomile comes in 250 mg capsules.